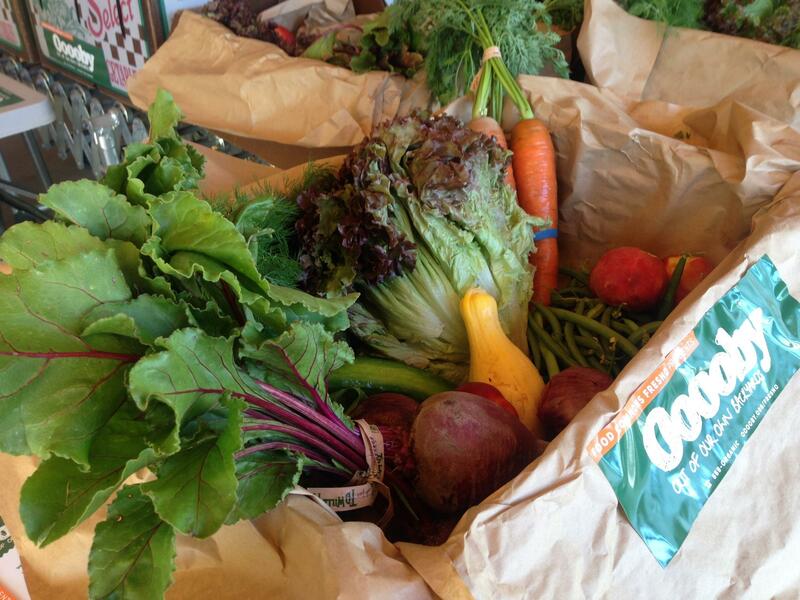 The Ooooby box in the Valley will have fruits, vegetables and eggs from around the region. Kiel Schmidt has worked on food related projects in the region for years. Some of the fruits and veggies that he and his brothers grow in backyards across Fresno through Tower Urban Family Farm will be in the boxes as well. The group recently bought the long-running food box program from Madera based T&D Willey Farms which has over 600 subscribers. Ooooby plans to continue to serve existing subscribers and to expand the box program into lower income areas of Fresno. Tom Willey says he sold the CSA because he was ready to pass the baton on to a younger generation. He will still provide produce for the boxes. 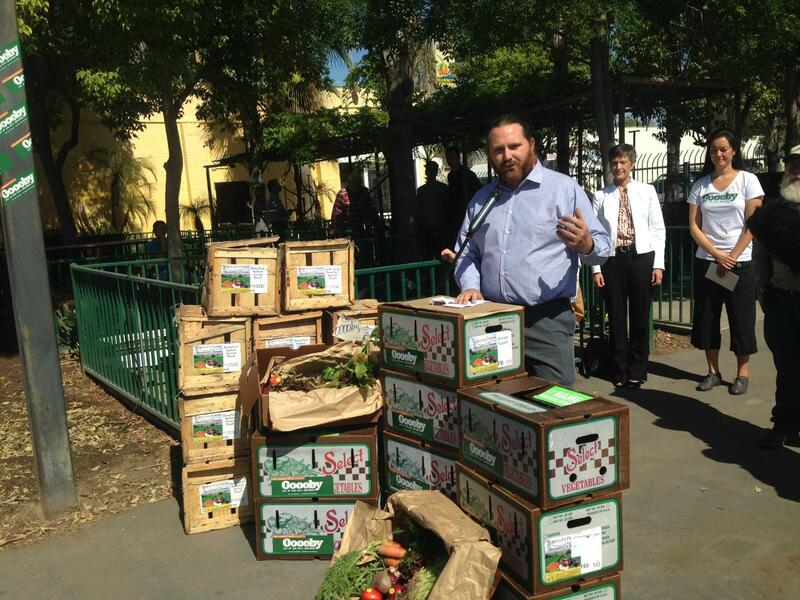 The fruits, vegetables and eggs in the boxes come from farms and backyard gardens in the Valley. In the new program people can choose from a box for $16.00 or $21.00 online and can be picked up at 23 locations in Clovis, Fresno, Reedley, Madera, Merced and Oakhurst. For more information on Ooooby visit the groups site at www.ooooby.org/fresno. Central California fruits and vegetables are found in grocery stores across the nation. But what happens to produce that doesn’t make it to the market? In this story Valley Public Radio’s Ezra David Romero reports on how the ugly food that doesn’t meet beauty standards soon could be delivered to your doorstep. Ron Clark is on the hunt for what he calls ugly produce. This week on Valley Edition we preview the 4th annual Fresno Food Expo with Amy Fuentes with the City of Fresno and Agnes Saghatelian president of Valley Lahvosh Baking Company. In response to California’s historic drought some chefs are creating meals that use less water. Valley Public Radio’s Ezra David Romero reports from the Monterey Bay Aquarium Sustainable Foods Institute.